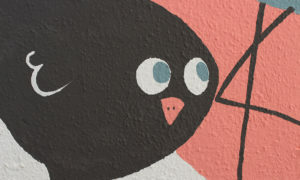 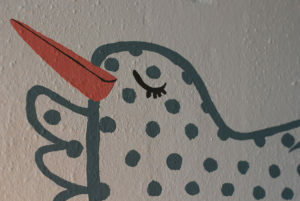 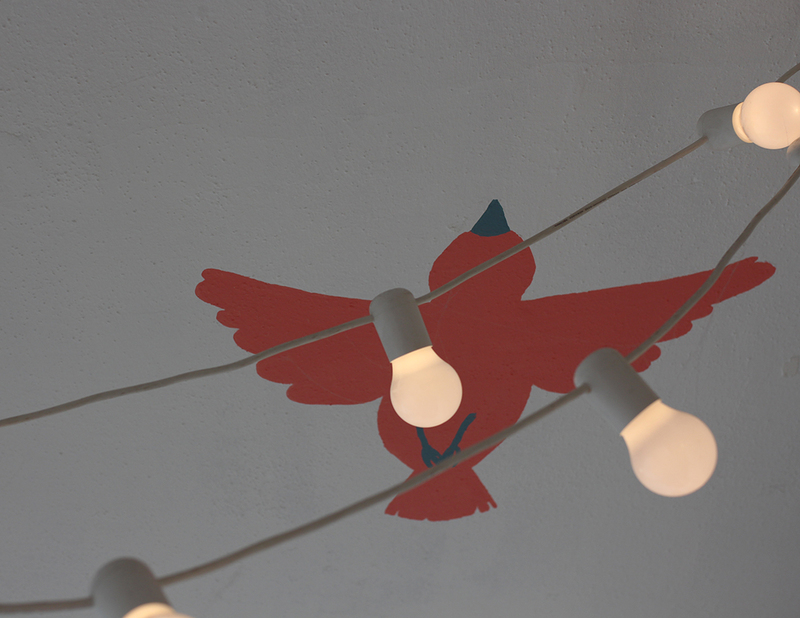 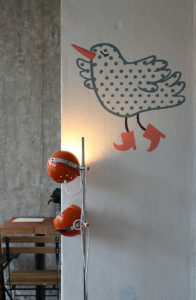 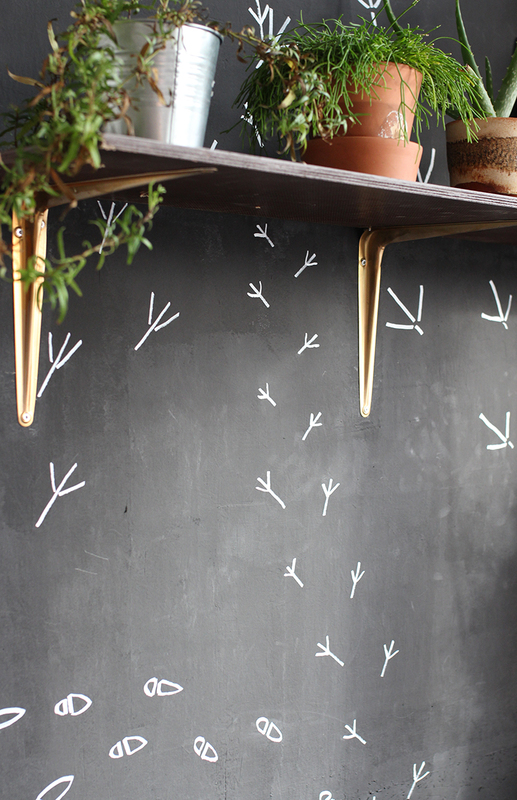 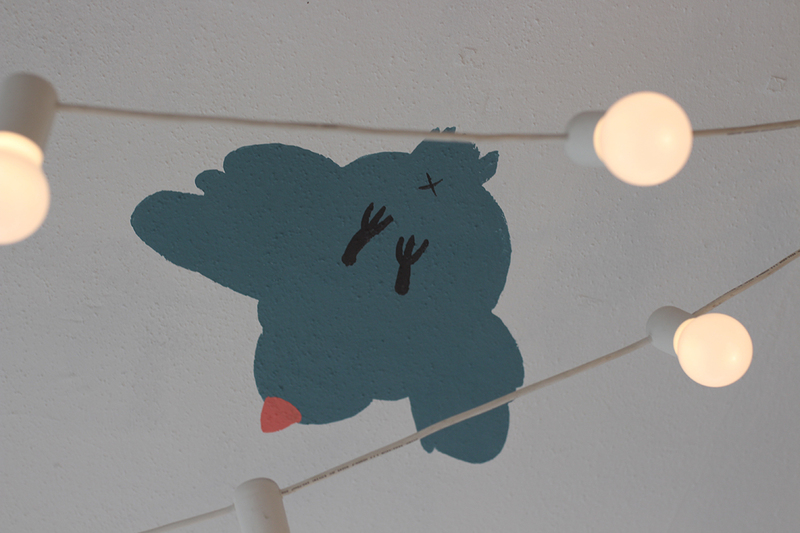 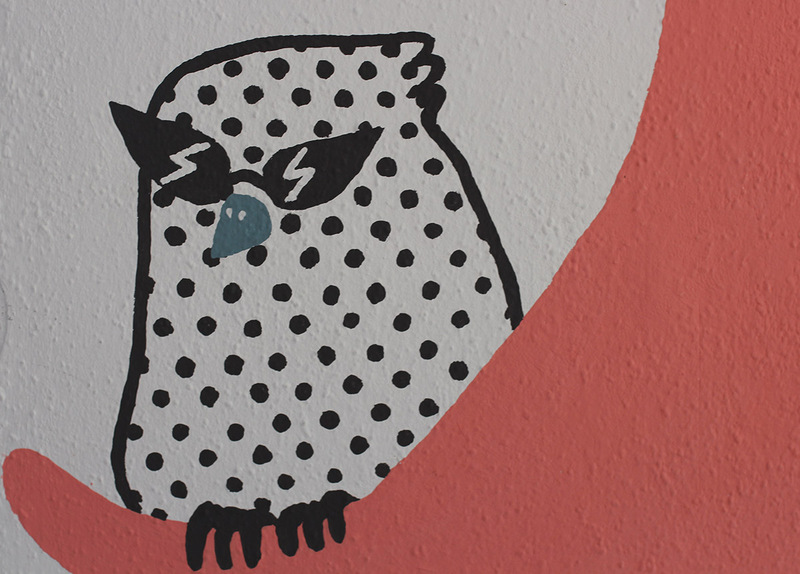 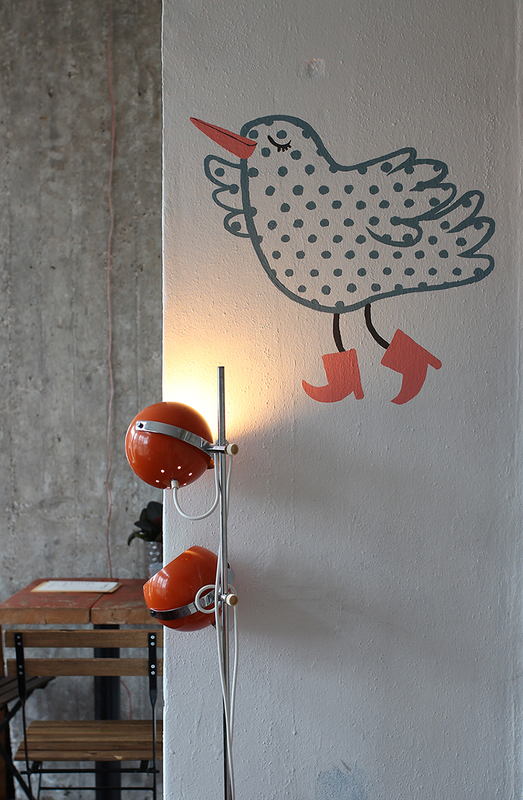 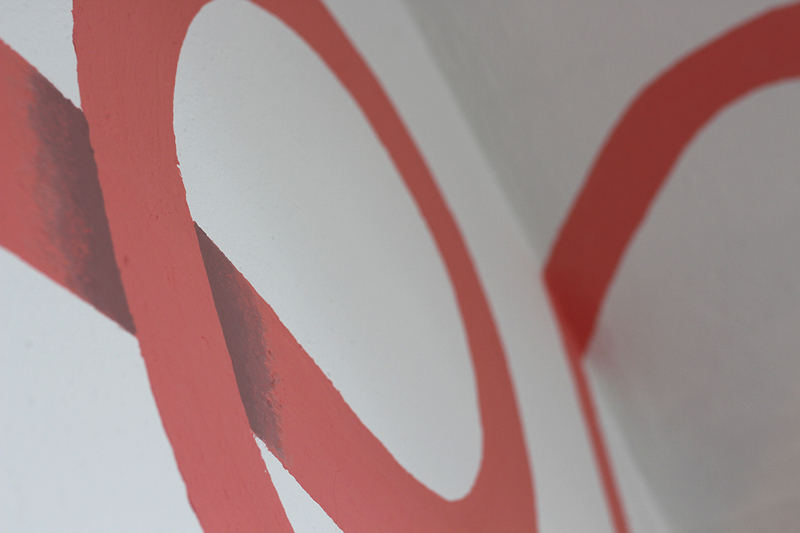 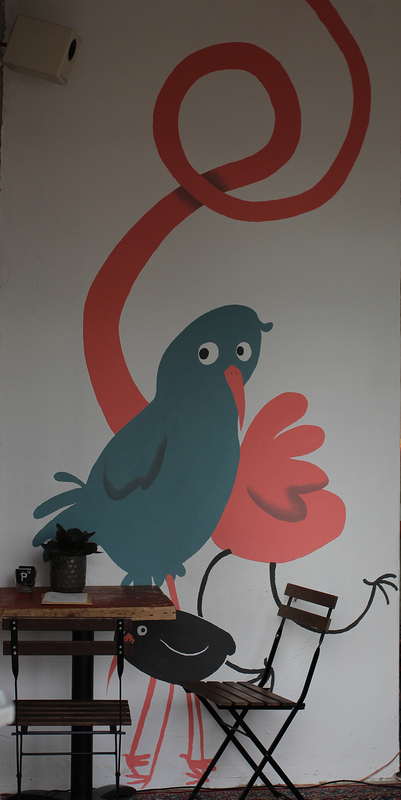 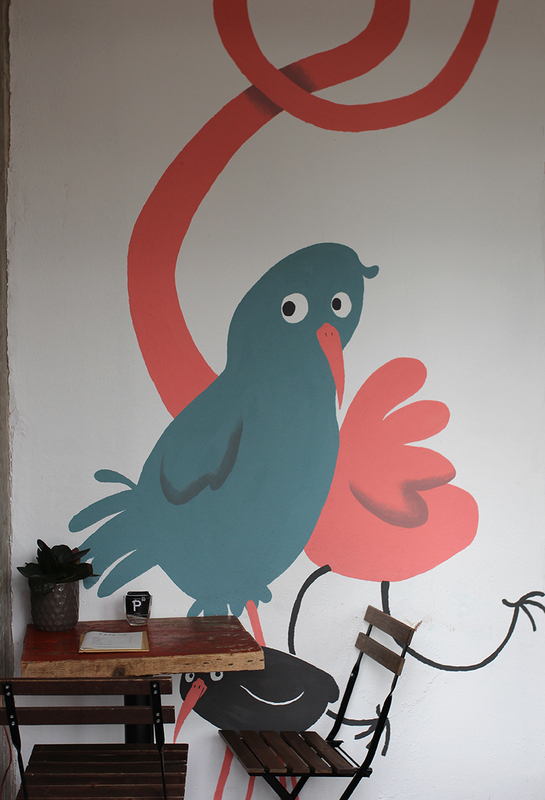 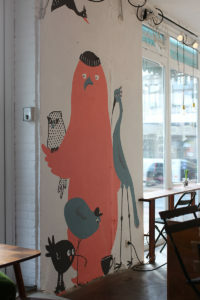 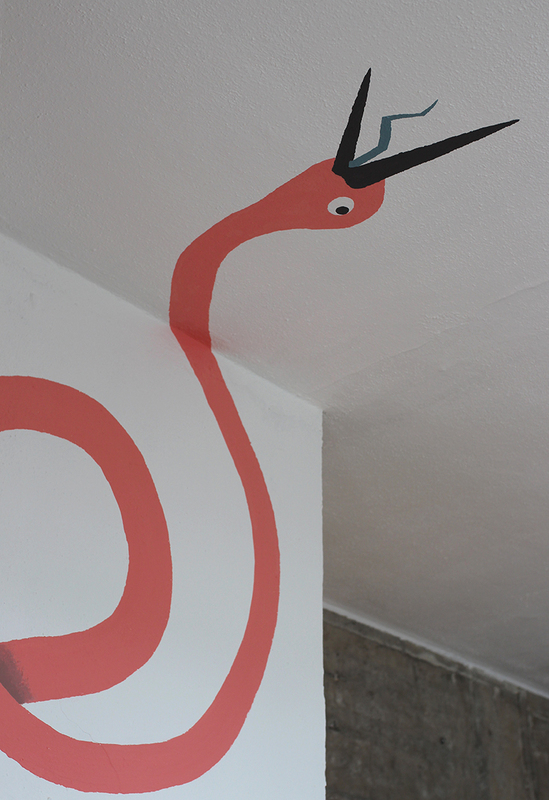 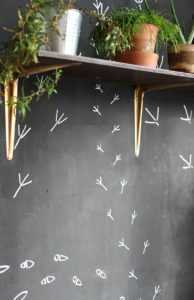 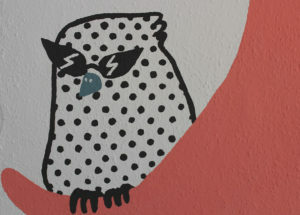 A Mural I did for Papp Café in Bremen. 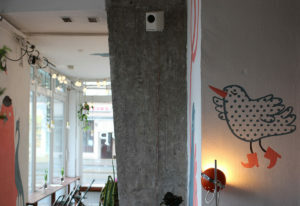 I was asked to develop a concept fitting to the quirky, ever-changing environment of this special bar/café/venue place. I suggested several concepts of which the staff picked this one. 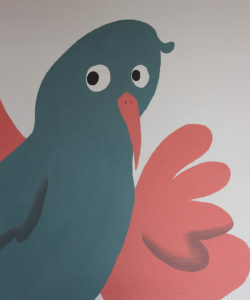 There is a German saying which includes the word Vögel (birds) regarding to a very special group of people... 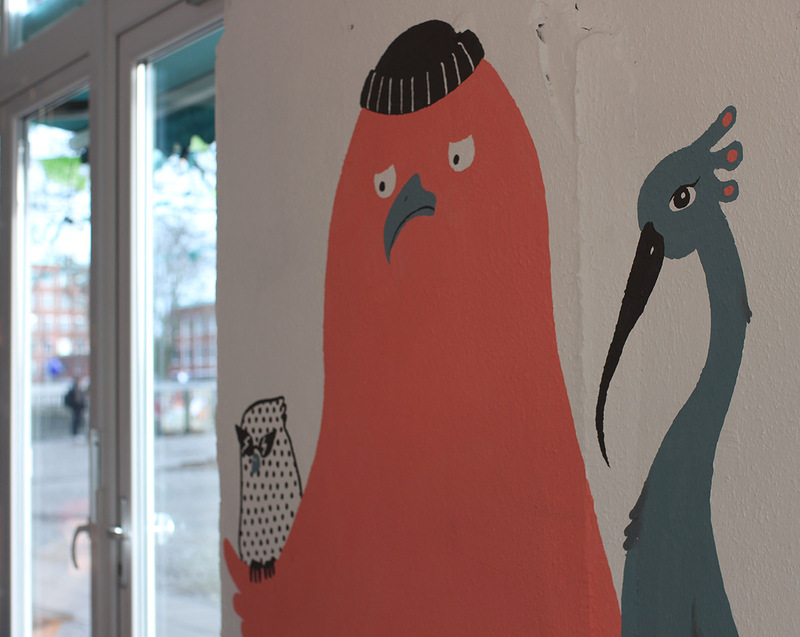 Most of the bird characters are inspired by the lovely people who work there.